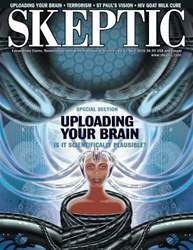 Digital Subscriptions > Skeptic > 21.2 > MYSTERY SOLVED…? It’s clear that the man-eating tree of Madagascar was a newspaper hoax—a fake story deceptively presented as though it were genuine news. Or rather, it was a series of newspaper hoaxes, because newspapers kept telling new versions. Newspaper hoaxes were quite common in the days when the cannibal tree was originally concocted. Some were jokes. Others were meant to fool people into buying more newspapers. The same year that the New York World published its tree-monster story, another New York paper published a hoax that the animals in the Central Park Zoo had escaped and were killing people in the streets. (For more outrageous newspaper hoaxes, see JUNIOR SKEPTIC #56, inside Skeptic Vol. 20, No. 3.) But if the tree-monster tale was a hoax, who was the hoaxer? Happily, we probably know the answer.